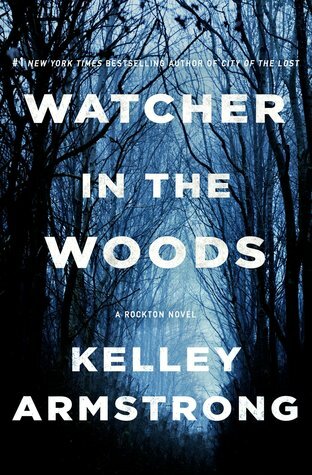 Watcher in the Woods is a fast paced and intriguing story. The incredible character development and the eerie atmosphere that surrounds Rockton come together in a tale filled with plot twists and reveals that showcase how interesting this universe is. Casey is back, with new murders to solve, and the introduction of new characters enrich her story and make this a delightful read. Kelley Armstrong’s writing continues to be engrossing, weaving a story that is emotional, tense, and that brings all sorts of action. The series keeps getting better with each passing installment as the puzzle pieces slowly start to fit together and show the bigger picture of Rockton and its history. And what a compelling history it is, oh my god. I am still in love with this entire series! The overall series arc that brings each installment together just keeps getting better and better. Armstrong does an incredible job developing the world-building and plot so that secrets slowly trickle in and give readers glues of what’s really happening. I cannot wait to figure out how all of this comes together, as Armstrong still keeps the mystery and suspense going with every novel. Casey continues to be her amazing self, but I do love that this book kind of brings her down a notch and forces her to look at her own actions and fast judgement of people. The introduction of one major character not only furthers Casey’s character development, but also brings to the story another voice of reason and needed new perspective. The humor is also a nice addition! The main mystery in this novel is engaging all the way, even more so as it also develops all the really intriguing subplots that exist in the series. The murders and action scenes keep you on your toes as you read, and the final reveal is rather surprising and leaves you with a taste of wanting more of Rockton and all the trouble that exists there. In the end, Watcher in the Woods is a lovely and intriguing read. It has action, a bit of romance, murder, and quite a few plot twists and reveals. It tightens the overall series arc and sets things up for the final installment, while still developing the characters and keeping the world-building and setting fresh. Definitely recommend it to all Mystery and Suspense fans! SCREAMING OMF I LOVE THIS SERIES I’M SO EXCITED FOR THIS BOOK!